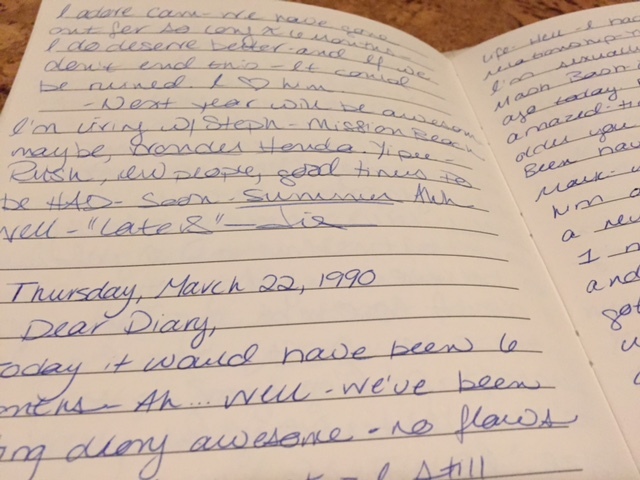 I picked up a pen on October 7, 1984,and wrote the words “Dear Diary.” I didn’t stop writing about life’s highs and lows, friendship triumphs and betrayals, love found and lost and found again — all penned in looping teenage girl cursive — until sometime in my late 20s. Dear Diary, In 25 years I will laugh at this entry! 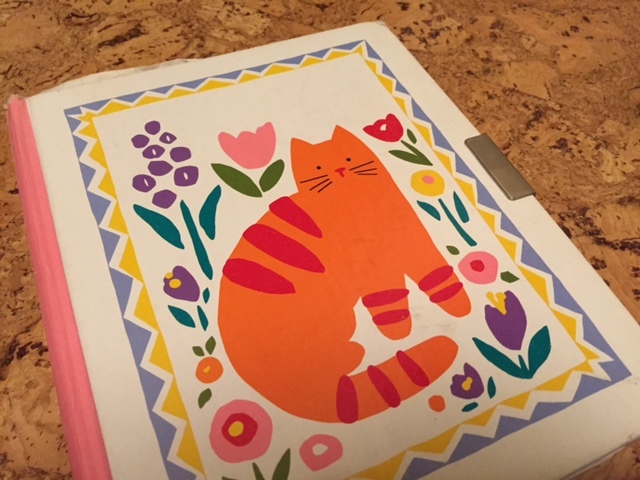 By then, with a husband and a house and a blossoming writing career, life became predictable enough that I no longer needed to use blank lined pages as a sounding board for my deepest thoughts and dreams. I put down that pen and the privacy of a diary, and took to a keyboard, typing stories of my trips and travails for the general public as a journalist. 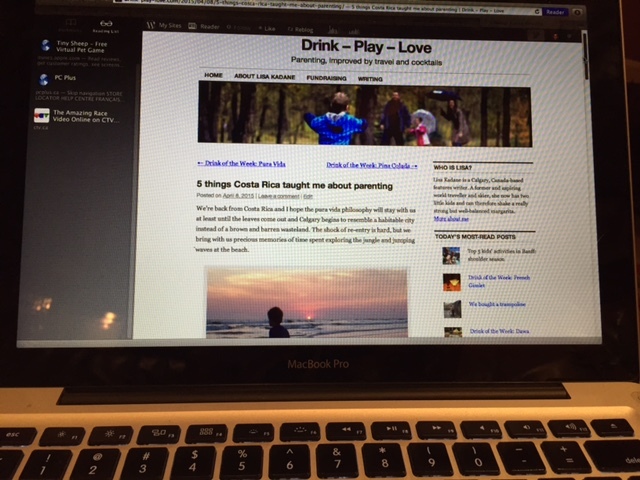 And then, after I left the Calgary Herald in 2011, I started this blog as a way to record bits of the next chapter of my life: the one about raising kids. Blogging is easier than writing — my hand never cramps — and I can add pictures too! It’s like a scrapbook journal. I like to think that Avery and Bennett will read these posts and remember their milestones and laugh at all the crazy things they did. But it’s not always light and cheery. Parenting has its dark moments, especially when raising a child with special needs. I’ve “put it all out there” a couple times in parenting posts and stories about my son and our family’s struggles with his genetic condition and autism. I know this open talk of our sadness, and subsequent coming to terms with our new normal, can seem foreign to people. Sometimes they use words like “brave” or “honest” to describe my words. The words are honest in the same way my teenage rants were honest in the late 80s. They are brave only in the sense I am writing them knowing that thousands of people will find my “modern journal” and read it cover to cover. I have another word for it, one that’s now backed by research: therapy. It turns out a Clarkson University professor has written a paper on how mothers raising a child with autism can manage stress through emotional disclosure in journal writing. The article appears in the December 2014 issue of the Journal for Autism and Developmental Disorders. Maybe everyone should have a little Bennett in their lives, I think. And so I write. Because life is no longer as stable and predictable as it was when I was 28, and my keyboard and a blank screen — and you, my readers — have become my new sounding board. This entry was posted in Parenting, Potpourri and tagged journal writing as therapy for coping with autism, Living with autism. Bookmark the permalink. I just wanted you to know that I really liked this entry. Nice job.